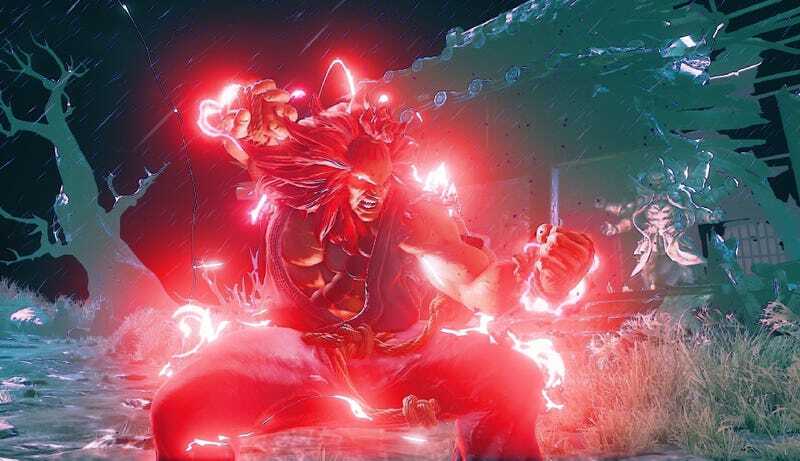 Street Fighter V’s holiday update is here, bringing with it festive holiday costumes, the debut of Akuma and tons of tweaks and balance changes, but the most entertaining change of them all is tweaking matchmaking to ensure frequent rage quitters wind up playing each other. Docking League Points and temporary bans have gone a long way towards reducing the number of Street Fighter V players who’d rather disconnect than register a loss, but there are still players who’d rather take a chance at penalties to give their opponents a hard time. Today’s big update for Capcom’s flagship fighting game adjusts matchmaking so players who regularly disconnect mid-match are more likely to be paired with others of their ilk. While honorable players who rarely disconnect are busy facing off against similarly stalwart foes, rage quitters will find themselves in a hell of their own making, where no one can be trusted to see a match through to the end. It’s rather poetic. Along with the matchmaking changes, the winter update also adds special icons to player profiles for game’s most and least reliable players. If this escalates as I hope it does, by mid Season Two rage quitting players will have to sing five verses of a particularly apologetic song into their microphone before matchmaking even begins.